After warm summer nights by the campfire and long drives through the fall foliage, the RV season ends for many campers when the snow starts falling. But, if you don’t want to pause your outdoor adventures, we’ve picked five campgrounds in the Northeast that stay open during the coldest month of the year. If you are an RVer who loves skiing, snowshoeing, ice fishing and other winter activities, bundle up and check out these options. Western Maine’s Stony Brook Recreation and Camping lies just north of the outdoor sports haven of Bethel, Maine. The year-round campground is the perfect affordable home base for skiing the popular Sunday River Resort, just 10 minutes away. Cross-country skiers can trek through miles of groomed trails operated by Bethel Village Trails or explore the backcountry in Grafton Notch State Park and the Mahoosuc Public Lands. 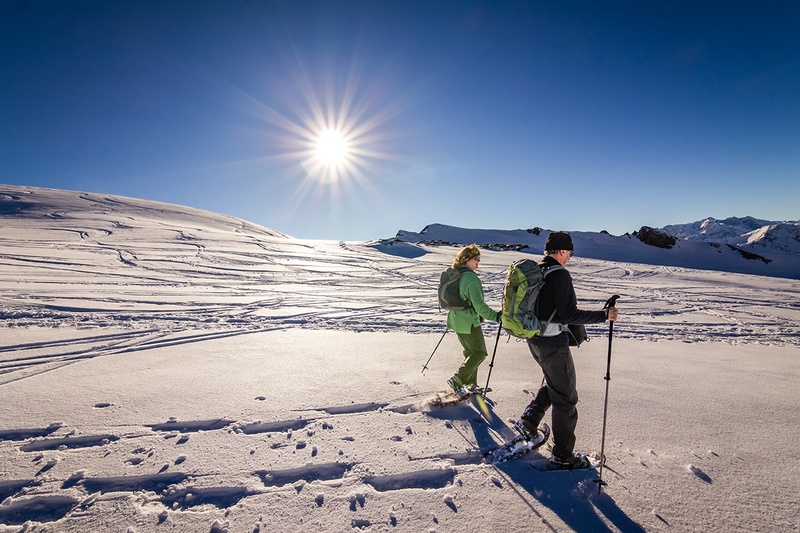 For a real winter adventure experience, check out Mahoosuc Guide Services which offers a full weekend trip combining dog sledding, snowshoeing, skiing and winter camping. 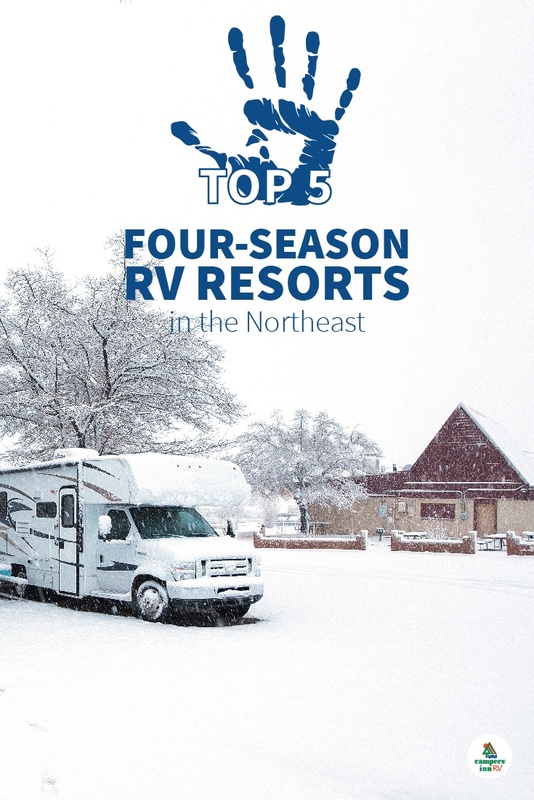 Gunstock Mountain Resort is one of the top family-friendly ski mountains in the state, and it offers electric-hookup RV sites at its campground during the winter. Located near Lake Winnipesaukee, the mountain features 55 well-maintained trails for beginners, intermediates and experts as well as trails for cross-country skiing and snowshoeing. After you hit the slopes, you can travel to the lakeside towns of Meredith and Laconia to enjoy local restaurants or hit up the arcades at Funspot. 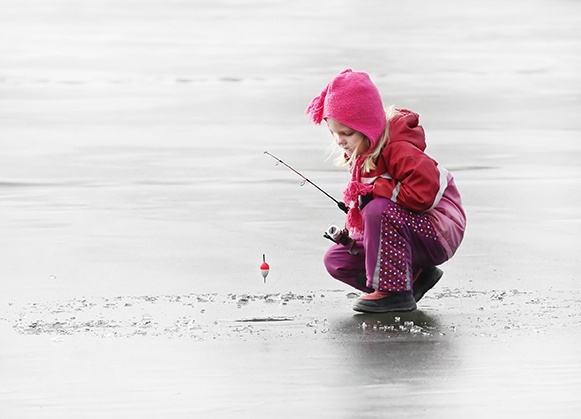 The lake is also a favorite ice fishing spot if you want to take a break from the mountain. Green Mountain Family Campground is located in the quaint town of Bristol, Vermont on the edge of the Green Mountain National Forest. During the winter, campers can enjoy the park’s snowshoeing trails and backcountry skiing opportunities. Skiers will also love the easy access to the massive Sugarbush ski resort and the challenging Mad River Glen, both under 40 minutes away. Snowmobilers can connect to several nearby corridors, and anglers can take a short trip west to tackle ice fishing on Lake Champlain. Home to two winter Olympic games, the Lake Placid area is one of the top spots for winter activities in the Northeast. The Lake Placid/Whiteface Mountain KOA is just minutes away from the Whiteface ski resort with three peaks and 86 trails. Once you’ve conquered the slopes, take a short drive into Lake Placid village to ice skate on Mirror Lake and slide down the Lake Placid Toboggan Chute. For a taste of Olympic thrills, sign up for the Bobsled Experience to zoom down one of only two bobsled tracks in the US. The Delaware Water Gap/Pocono Mountains KOA is located in Pennsylvania’s famous Pocono region. It is the perfect winter escape from Philadelphia or New York. 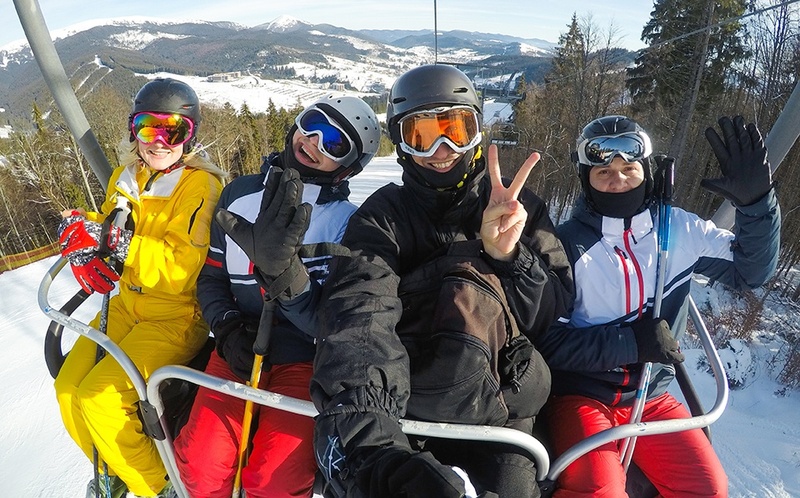 The campground lies just a half mile from Shawnee Mountain Ski Resort, which features 23 trails for all skill levels, as well as snow tubing. Cross-country skiers can glide along the Delaware River in the nearby Delaware Water Gap National Recreation Area. A little further down the road, learn how to mush a team of huskies at Arctic Paws Dog Sled Tours in Pocono Manor, or take a cozy horse-driven sleigh ride at Daisy Field Farm in Winter Haven. 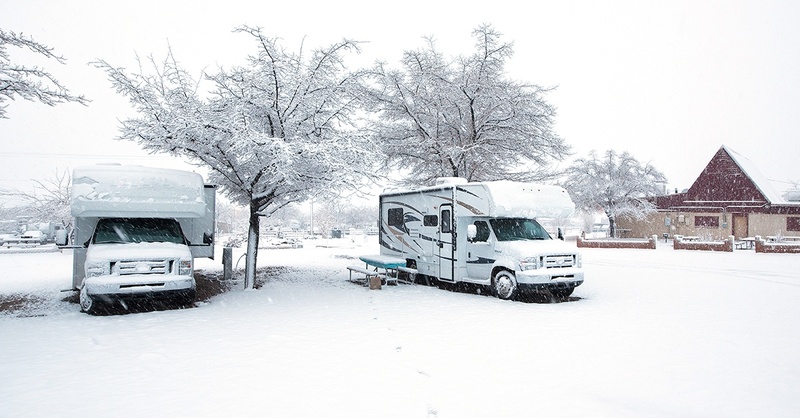 RVing in the winter means you might encounter inclement weather like snowstorms. 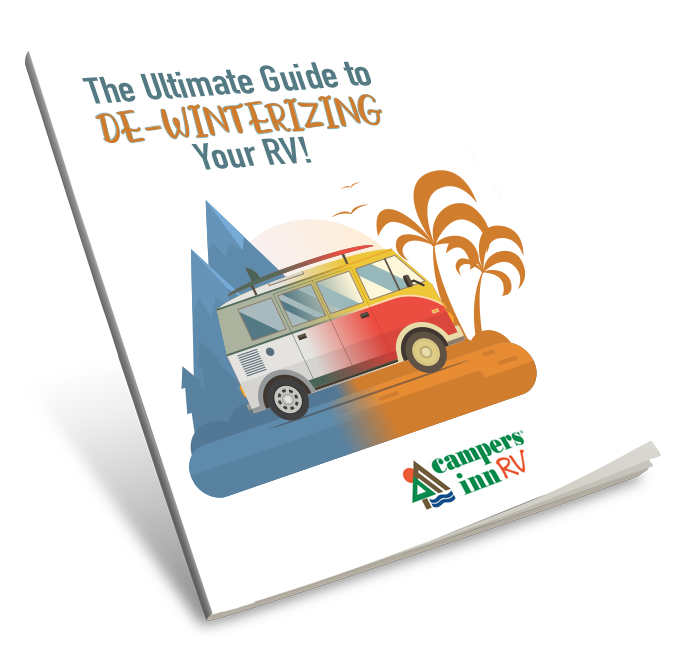 To be prepared, download our free tip sheet, Tips for RVing in Bad Weather, today!